When you prepare for your next hunting excursion you had better prepare to clean a lot more birds. I will show you what you have been missing out on since you grew up shooting a .22 at Grandpa’s farm. Your friends will be jealous when you’re shooting all the birds and having the hunt of a lifetime. 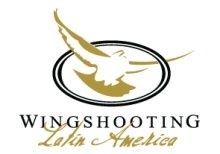 I am pleased to annouce that I am now working with Ryan McCollum of Wingshooting Latin America as a consultant. Ryan and I have a long history of hunting birds in South America at some great venues. Please feel free to check out www.wingshootinglatinamerica.com and let us know if there is anything we can do to get you on a hunt of a lifetime. ©2019 John Francis. All Rights Reserved. Site by RevosMedia | please log in here.